Z. Sheng (editor) and C. H. Liu, "Energy Efficient Cooperative Wireless Communication and Networks", CRC Press, Taylor & Francis Group, ISBN 9781482238211, USA, 2014. Z.Sheng (Monograph). "Cooperative Wireless Networks: From Radio to Network Protocol Designs", Scholars' Press Publishing, ISBN 978-3-639-51633-3, Germany, 2013. Z. Sheng, H. Wang, C. Yin, X. Hu, S. Yang and V. Leung, "Lightweight Management of Resource Constrained Sensor Devices in Internet-of-Things", IEEE Internet of Things Journal, 2015 [Download]. M. Chen, L. Hu, Y. Zhang, T. Taleb and Z. Sheng, "Cloud-based Wireless Network: Virtualized, Reconfigurable, Smart Wireless Network to Enable 5G Technologies", ACM/Springer Mobile Networks and Applications (MONET) Special Issue on Networking 5G Mobile Communications Systems, 2015 [Download]. Z. Sheng, A. Kenarsari, N. Taherinejad and V. Leung, "A Multi-channel Medium Access Control Protocol for Vehicular Power Line Communication Systems", IEEE Transactions on Vehicular Technology, 2015 [Download]. P. Kamalinejad, C. Mahapatra, Z. Sheng, S. Mirabbasi, V. Leung, and Y. Guan, "Wireless Energy Harvesting for Internet of Things", IEEE Communications Magazine, 2015 [Download]. R. Chen, Z. Sheng, Z. Zhong, M. Ni, D. Michelson, and V. Leung, "Analysis on Connectivity Performance for Vehicular Ad Hoc Networks Subjected to User Behavior", Proc. of International Wireless Communications & Mobile Computing Conference (IWCMC) 2015, August 24-27, Croatia. C. Mahapatra, Z. Sheng, V. Leung, and T. Stouraitis, "A Reliable and Energy Efficient IoT Data Transmission Scheme for Smart Cities based on Redundant Residue based Error Correction Coding", Proc. of 2nd workshop on Smart Wireless Access Network For Smart Cities (SWANSITY) at IEEE SECON, Seattle, June 2015. Q. Liu, E. Ngai, X. Hu, Z. Sheng, V. Leung, and J. Yin, "SH-CRAN: Hierarchical Framework to Support Mobile Big Data Computing in a Secure Manner", Proc. of ACM MobiHoc 2015 - The workshop of Mobile Big Data (Mobidata), Jun 21, 2015, Hangzhou, China. B. Chen, C. Zhu, M. Mukherjee, Z. Sheng, C. Xiong, J. Wei, and V. Leung, "Radiated Power Scaling Factor and Its Effect on The Secrecy Performance of Multi-user Massive MIMO System", Proc. of ACM MobiHoc 2015 - The Second Workshop for Mobile Sensing, Computing and Communication, Jun 22, 2015, Hangzhou, China. R. Chen, Z. Sheng, M. Ni, Z. Zhong, and D. Michelson, "Channel Capacity under Measurement-based Model for Cooperative Vehicular Ad Hoc Networks", Proc. of IEEE International Symposium on Antennas and Propagation and North American Radio Science Meeting (AP-S/URSI) 2015, Jul. 19-25, Vancouver, Canada. R. Antonioli, M. Roff, Z. Sheng, J. Liu, and V.Leung, "A Real-Time MAC Protocol for In-Vehicle Power Line Communications Based on HomePlug GP", Proc. of IEEE Vehicular Technology Conference (VTC) 2015, May 11-14, Glasgow, Scotland. Z. Qin, Y. Wang, Y. Xia, H. Cheng, Y. Zhou, Z. Sheng and V. Leung, "Demographic Information Prediction Based on Smartphone Application Usage", ﻿Proc. of Inte﻿rnational Conference on Smart Computing (SMARTCOMP) 2014, Nov. 3-5, Hong Kong, China. Z. Sheng, X. Hu, P. TalebiFard, V. Leung, R. Chen and Y. Zhou, "Sensor Cloud Computing for Vehicular Applications: from Analysis to Practical Implementation", Proc. of ACM International Symposium on Design and Analysis of Intelligent Vehicular Networks and Applications (DIVANet) 2014, Sep. 21-26, Montreal, Canada. X. Hu, L. Wang, Z. Sheng, P. TalebiFard, L. Zhou and V. Leung, "Towards a Service Centric Contextualized Vehicular Cloud", Proc. of ACM International Symposium on Design and Analysis of Intelligent Vehicular Networks and Applications (DIVANet) 2014, Sep. 21-26, Montreal, Canada. X. Hu, J. Deng, W. Hu, G. Fotopoulos, E. C.-H. Ngai, Z. Sheng, M. Liang, X. Li, V. Leung and S. Fels, "SAfeDJ Community: Situation-Aware In-Car Music Delivery for Safe Driving", Proc. of ACM MobiCom 2014, poster session, Sep. 7-11, Maui, Hawaii. Z. Sheng, M. Roff, R. Antonioli and V. Leung, "Demonstration of Multi-Channel Medium Access Control Protocol in Vehicular Power Line Communication (VPLC) using OMNeT++", Proc. of IEEE International Symposium on Wireless Vehicular Communications (WiVEC 2014), co-located with VTC2014-Fall. J. Fan, Z. Sheng, C. Liu, A. V. Vasilakos and X. Fan, “Fair an﻿d Energy-efficient Cooperative Relaying with Selfish Nodes”, Proc. of IEEE International Conference on Communications (ICC) 2013, Jun 9-13, Bu﻿dapest, Hungary. Z. Sheng, Bong-Jun Ko, Swami Ananthram, Kang-Won Lee, and Kin K. Leung, "Power Efficiency of Decode-And-Forward Cooperative Relaying", Proc. of The Military Communications Conference (MILCOM) 2010, October 31- November 3, San Jose, CA. Z. Sheng, B. J. Ko, A. Swami, K. W. Lee and K. K. Leung, “Analysis and Algorithms for Power Allocation in Decode-and-Forward Cooperative Relaying”, Proc. of The Forth Annual Conference of The International Technology Alliance (ACITA) 2010, September 15-16, London, UK. Z. Sheng, Z. Ding and K. K. Leung, "Transmission Capacity of Decode-and-Forward Cooperation in Overlaid Wireless Networks", Proc. of IEEE International Conference on Communications (ICC) 2010, May 23-27, Cape Town, South Africa. Z. Sheng, Z. Ding and K. K. Leung, "Transmission Delay Analysis with Finite Coding Length in Wireless Cooperative Networks", Proc. of IEEE Global Communications Conference (Globecom) 2009, Dec. 1-4, Hawaii, USA. D. L. Goeckel, Z. Ding, Z. Sheng, S. Vasudevan, K. K. Leung and D. Towsley, "Multi-User Diversity for Secrecy in Cooperative Communication Links", Proc. of The Third Annual Conference of The International Technology Alliance (ACITA) 2009, September 22-24, Maryland, USA. Z. Sheng, D. L. Goeckel, K. K. Leung and Z. Ding,"A Stochastic Geometry Approach to Transmission Capacity in Wireless Cooperative Networks", Proc. of IEEE International Symposium On Personal, Indoor and Mobile Radio Communications (PIMRC) 2009, September 13-16, Tokyo, Japan. Z. Sheng, Z. Ding and K. K. Leung, "Interference Subtraction with Supplementary Cooperation in Wireless Cooperative Networks", Proc. of IEEE International Conference on Communications (ICC) 2009, June 14-18, Dresden, Germany. Z. Sheng, Z. Ding and K. K. Leung, "Distributed and Power Efficient Routing in Wireless Cooperative Networks", Proc. of IEEE International Conference on Communications (ICC) 2009, June 14-18, Dresden, Germany. Patent application, "Cooperation-aided Routing Protocol in Low Power and Lossy Networks", PCT application No. PCT/CN2013/090231, 2013. Co-proposer, "Proposed ToR for Management and Application Enablement WG", OneM2M, Dec. 2012. "In-vehicle power line communications", Ontario Council of Manufacturing Executives (oCME) Annual Meeting, Toronto, December, 2014. 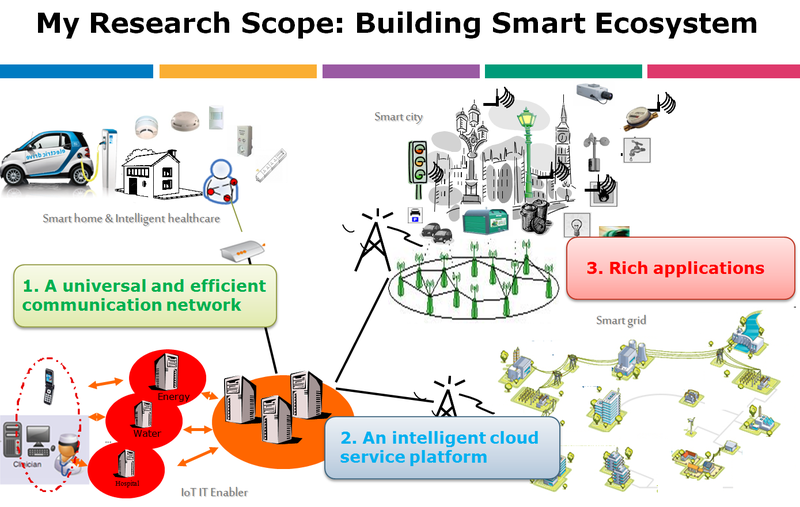 "Internet-of-Things: Building smart computer, control and communication systems", University of Sussex, UK, August, 2014. "Machine-to-machine introduction", open course at Beijing Institute of Tehnology (BIT), Nov, 2013. "Telco research innovations in M2M", Beijing University of Posts and Telecommunications (BUPT), Nov, 2013. "Orange and NFC: a strong commitment from the group", GSMA Mobile Asia Expo (MAE) Shanghai, June, 2013. "Telco innovations in M2M and NFC", Department of Electrical and Electronic Engineering, Imperial College London, June, 2013.